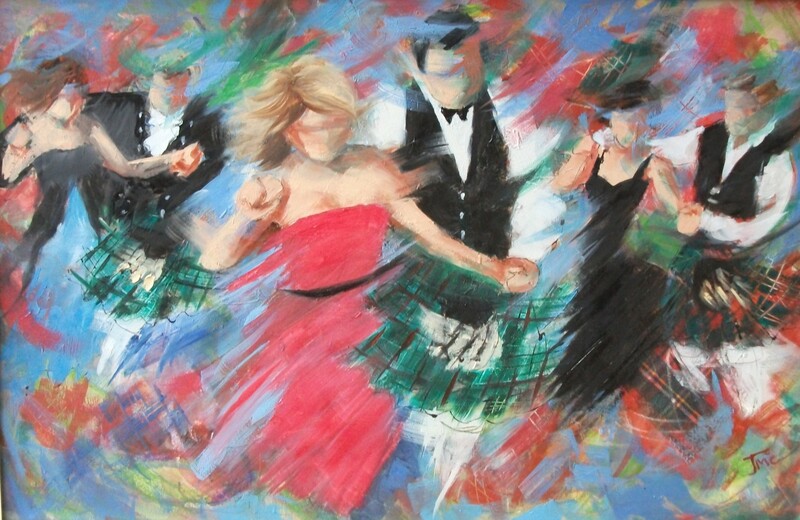 I’ve just returned from my weekly Scottish Country Dancing class in the Town Hall, Forres. I’m a member of the RSCDS Forres Committee and along with rough shooting, working my gundog, following Scotland’s rugby team and listening to jazz music, Scottish Country Dancing is one of the joys of my life. The tension mounts as you and your colleagues prepare to cast your various votes tomorrow. As one of your constituents and a member of the Scottish Conservative & Unionist Party I should like to re-emphasise my thoughts to you at this truly momentous time in our history. British democracy itself is at stake here. Theresa May’s Withdrawal Agreement (WA) is dead in the water. The WA and, so, by proxy the Conservative government was defeated by the House of Commons on an unprecedented scale on 15 January. No amount of amendments to the WA can ever make the WA an acceptable form of Brexit, including removal of the infamous backstop. I hope very much that you will not be minded to capitulate and support the WA at the eleventh hour, Douglas. For the UK nominally to leave the EU under Mrs May’s WA would be just that: leaving the EU in name only. We would be shackled indefinitely to the European Union without membership rights; a shocking betrayal of 17.4 million voters. The UK must leave the European Union at 11.00 pm on Friday 29 March, Douglas. If Parliament engineers a delay to the UK’s hour of departure from the European Union then millions of British people, perhaps tens of millions would conclude that voting in this country counted for nothing. I would be included in those millions of people. I would terminate my membership of the Conservative Party the moment I learned that the UK’s departure was delayed should Parliament achieve such an undermining of the Article 50 process. I would neither support nor vote for the Conservative Party again. I would seek out any politician or political party committed to terminating the UK’s membership of the EU lock, stock and barrel. Nigel Farage is poised to re-enter the fray in this regard – and I would be nailing my flag to his mast. If no such politician or political party was available to me, I would simply spoil my ballot paper on every voting occasion hence. So serious is this situation, Douglas. As someone who gave half his working life to service in the British armed forces, including in conflict, it would anger and depress me greatly to think that voting in my country had become a pointless exercise, treated with contempt by the British political class. I believe that you understand the profundity of our circumstances, Douglas, and how disastrous this could be for our United Kingdom if you parliamentarians foul this up. As I sit here typing this, if I’m honest, I’m pessimistic about the collective of which you are a part. Based on its track record this past 2 years and more, I’m pessimistic about how the House of Commons will perform in these final days and weeks of the Brexit process. It’s been depressing, frustrating and shocking to watch politicians going about their business of late, and I take cold comfort from thinking that a critical mass of the British public shares my despondency. Listen to LBC for just one day to understand the anger of the British public. In conclusion, I would ask that any and all the actions you take in the coming days and weeks are actions that will guarantee that the UK leaves the EU at 11.00 pm on Friday 29 March 2019. Any other actions you take, Douglas, will constitute a betrayal of 500 years and more of British history and treat with contempt the sacrifice of so many of our good people for freedom and democracy. I don’t envy you your role in all this, Douglas, but I would ask please that you give serious consideration to my thoughts about this matter – and I send you my best wishes as always. I forgot to congratulate you on your superb comments in the Telegraph! Excellent article, MM. In complete agreement of course. Question: do you or any others think that we are approaching a “gillets jaunes” moment? I know that such tactics don’t come naturally to us as a people, but I can honestly say that I have never, ever, seen such anger in our people! My own feeling is that the imminent storm will eclipse the Poll Tax riots by a considerable margin. Whilst it’s fair to say that the UK side has mishandled the negotiations, even more blame attaches to Brussels over this. It’s high time the “adults” – meaning EU national governments – stepped in to impose sense on Brussels. Brussels bureaucrats assume that Britain will suffer more than anyone else from a bungled “Brexit” – wrong. They assume it’s their job to influence Italian and other voters by punishing the British for voting “leave” – wrong (how citizens vote domestically isn’t any of Brussels’ business).. They think they can scare the UK into accepting a rotten deal rather than no deal, and actually paying £39bn for it – again, wrong. The reality is that Dublin and Paris should be getting involved. Both economies stand to suffer. The Irish economy is in deep trouble, and in no condition to withstand any kind of shock. Mr Macron might as well try showing some statesmanship over this, as 60-70% of French voters support the aims of the gilets jaunes, his labour market “reforms” are dead in the water, and, as things stand, he’s no chance of being re-elected. It is clear that it all went wrong at the time of the referendum. If at that time it had been made clear on the form that you accept that the winner takes all, then this constant debate (between leavers and remainers) would have been avoided. All MP’s would then have been obliged to support the majority view (or resign), and then work together to obtain the best deal possible with the E.U. We would then have had the whole of Parliament working together to give a clear signal to the EU we were of one voice, and move rapidly to a conclusion. Unfortunately, the referendum was very badly handled from the outset and poorly managed through the process. The poor quality of our Politicians and Senior Civil Servants have been exposed. A new style of government is needed to get the job done! I think he made no less than three miscalculations. First, he thought offering a referendum was safe, because he’d be in another coalition, and the Lib Dems would stop it. Second, he thought the EU could be persuaded to prioritize his reform demands over other pressing issues (such as migration and the economy), and give him something of substance. They didn’t. Third, of course, he thought “remain” would coast to victory in the referendum. Surely the uncompromising wording of the Referendum, to wit: Leave or Stay, rendered further qualification redundant? I find it astonishing that some MPs want a vote to rule out “no deal”. If they get away with this, Brussels then KNOWS that, in the last analysis, the UK has to either accept whatever the EU side offers – it’s literally that, or no “Brexit”. Well done, MM. Like you I am a member of the Conservative Party and like you I have written to my MP (fortunately a so-far dedicated Leaver) to make clear that I too will terminate my membership should Brexit, and a real Brexit and not the faux Withdrawal Agreement kind, not be forthcoming on March 29th as promised and legislated for by the very parliament that seems now determined (and by some estimations likely) to prevent it happening. I can’t be alone in recognising the irony of so many Remainer MPs claiming that we Brexit supporters didn’t understand what we were voting for in June 2016 in order to justify a second referendum now that we apparently do, when so many of them voted overwhelmingly for Article 50 and the subsequent Act of Parliament which created the legal default of leaving without a deal should one not be agreed but clearly, to judge from their antics to prevent such an outcome now, didn’t themselves understand what they were voting for. To think that this motley collection of under-achievers and virtue-signalers hold the fate of the nation in their grasp, and more than that, seem quite willing to destroy the fragile fabric of our constitution with their parliamentary games in order to achieve their desired outcome of thwarting the largest democratic vote for anything in our history. Should they succeed then the consequences will be unknown, almost certainly unpleasant and potentially destroy what little faith is left in our system of democracy. Like you I will seek revenge at the ballot box, almost certainly voting for a minority party that stands for a real Brexit and in the sad event that such an option is not available in my constituency will write “Real Brexit” across the paper spoiling my ballot but leaving no doubt as to the reason. Threatening me with a Corbyn government will cut no ice with me; that is not an idle threat. I am astounded that after nearly 3 years of acrimonious politics in the wake of the referendum any sensible person should believe that were a real Brexit denied it would settle the matter. The reality is that it would guarantee years and years of toxic division and resentment in our politics and the nation at large creating the very instability and uncertainty that the Remainers claim they want to avoid. You really couldn’t make it up. Whatever happens now I hope that constituency associations wake up and start to take back control of their party from the professional politicians at the centre, de-select candidates who have betrayed their clear manifesto promises and put our democracy back on the path from which it has strayed where MPs serve their voters and not the other way round. I hope against hope that this evening will see some level heads in parliament who understand exactly what is at stake beyond Brexit and don’t vote to put us on the road to potential anarchy. We shall see. Wouldn’t it be wonderful if ALL business leaders would write to their MPs thus! Well done – I’ve always been impressed by your thoughts, and your style – it’s good to know that there are still intelligent thinkers out there, who are prepared to stick their heads above the various parapets which are increasingly being encountered. Excellent letter MM, May we use it or parts of it to send to our MPs? 1. Although I think sending one to my MP (Conservative, will be ignored. This is an MP who was one of the first to come out publicly in favour of both May and the WA. Back here in his constituency he does little more than our local councillors for the area, all together very bad value for money. A few photos at openings, or schools, and an Open Day for employers to meet the unemployed, once a year or so. At least that is what it appears. He is much more interested in being a Minister. Not that I have noticed anything he has done of use in in his various employments in that capacity either. 2. As for writing keeping us sane – that is a double-edged sword. It is good that we have communication between like-minded (and not like-minded) people. But it lowers the blood pressure slightly, and is favoured by the PTB as a means of keeping us from doing worse harm. The old “sticks and stones” etc. 3. The question is how can we have some real effect, particularly under our not-fit-for-purpose FPTP? Waiting for the next GE is too late. The damage is likely to have been done by then. Boycotting seems to have some effect on businesses, and the GJ run on the french banks may yet achieve something. Politicos llke Farage talk of setting up a Brexit party – but at the moment it’s again just talk – again they’ve left it too late. Such a party should be in place NOW. Someone on the DT letters suggested forming a pro-Brexit pressure group, I believe.Many groups have toyed with that idea, but Leavers are so divided in our various camps. Leave Means Leave seems to attract support from several different sources, but the various groups are simply not succeeding in really getting together. I know that much of UKIP would work with LML, but Farage has been less than helpful, and is driving off many of us who had respect for him and his eloquence. In short – to the ordinary Leave voter WHAT DO WE DO, NOW? Thanks AdiEU (nice play on the word), and by all means take as much or as little as you like from my letter. As for ‘what do we do now?’, keeping up the verbal pressure is essential. I’m encouraged by the volume of anger in the written and spoken word and despite my tendency towards pessimism in all this, I do think that we’re having some impact on those who supposedly speak for and govern us. I fear that things would have to get worse before they get better. In other words, if the political class insists on continuing to frog-march us down the road of destroying the democratic covenant, only then would we see some semblance of a coordinated response I suspect – and hope. By ‘coordinated response’ I mean the emergence of a coherent political movement/party dedicated to the libertarian values which underpinned the Leave vote – even if Leave voters didn’t actually think of it in those terms. I’m drafting (in my head, as I do) a post on the subject of the future of politics in the UK as I see it. AdiEU, I do understand your frustration, but having worked ‘behind the scenes’ in politics for many years, I do believe it would not be easy just to start a new Party – I did have hopes for UKIP many, many moons ago, but look at the uneasy Leadership changes almost from the start. One would need money – a lot of £££££££ (perhaps the Midlands Industrial Council might help) from impeccable sources, some brilliant front and backroom staff, and a truly SOUND, clever and charismatic leader…..that’s a very big ask. Sorry to be so negative, but what’s happening in the UK today is breaking my heart. A one page FTA based around WTO rules has been drafted by Lorand Bartels that could save politicians time if they had the will to conclude Brexit. You have wordsmithed the heartfelt beliefs of more than 17.4 million people, the majority of the U.K. This is regardless of pastimes and party political beliefs. If only our Government took this fact to heart. I to believe Douglas to be a sound man with strong heart, mind and integrity which hopefully he will deploy to the full. A huge void is about to develop in British politics should the will of the people not be enacted. If a new ship sails into the void, manned by decent honest folk with the best wishes of the nation and its people in their hearts and minds then I to will be putting a nail into the same mast as yourself. Excellent comment and excellent blog. I would dearly like to send the same letter to my MP, but unfortunately it is the vain, pompous dwarf, John Bercow who is useless as a constituency MP because he neither votes, nor lobbies. It is a constitutional outrage that The Speaker remains an MP. Here in Buckingham we have no representation in Parliament. Excellent letter and post. I have little hope though. MPs have forgotten that they are elected to be the voice of the people to government and not the other way round.